THIS BIDDER CONTRACT IS BETWEEN THE PERSON, WHOSE NAME IS SIGNED BELOW ("BIDDER"), AND JEFF MARTIN AUCTIONEERS, INC. ("MARTIN").  BIDDER AGREES THAT THE TERMS SUMMARIZED ON THIS REGISTRATION AND SET FORTH FULLY IN THE AUCTION CATALOG SET OUT SPECIFIC AND COMPLETE RULES OF AUCTION AND AGREE THAT IT IS BIDDER'S RESPONSIBILITY TO OBTAIN AND READ THESE RULES PRIOR TO BIDDING ON ANY ITEMS. BIDDER AGREES TO BE LEGALLY BOUND BY THESE RULES. ADDITIONAL TERMS MAY BE POSTED OR ANNOUNCED FROM THE AUCTION BLOCK, WHICH SHALL ALSO BE BINDING ON BIDDER. IT IS THE BIDDERS RESPONSIBILITY TO REQUEST COMPLETE RULES OF AUCTION FROM MARTIN. 1) BIDDER'S RESPONSIBILITY: BIDDER AGREES IT IS BIDDER'S RESPONSIBILITY TO INSPECT EACH ITEM BEFORE BIDDING, AND ACKNOWLEDGES THAT MARTIN MAKES NO GUARANTEE OR WARRANTIES, EITHER EXPRESSED OR IMPLIED, AS TO THE CONDITION OF THE ITEMS. BIDDER AGREES THAT DESCRIPTION OR STATEMENT IN THE AUCTION CATALOG AND INTERNET WEBSITE ARE ONLY A GUIDE AND MARTIN MAKES NO GUARANTEE OF THE ACCURACY OF THE DESCRIPTIONS IN THE CATALOG. AFTER A BIDDER HAS WON THE BID WITH HIS/HER HIGH BID, ALL RISK OF LOSS AND DAMAGE PASSES TO BIDDER, EVEN THOUGH BIDDER MAY NOT HAVE PAID FOR THE ITEM YET. BUYERS SHOULD GUARD THEIR ITEMS ACCORDINGLY. ITEMS NOT REMOVED FROM AUCTION SITE BY DEADLINE STATED FOR AUCTION IS SUBJECT TO A STORAGE FEE NOT TO EXCEED $100 PER ITEM PER DAY. ITEMS NOT REMOVED BY DEADLINE WILL BE SOLD AT AN AUCTION TO COVER COST OF STORAGE. YOU THE BIDDER WILL BE RESPONSIBLE FOR ANY REMAINING STORAGE INVOICE BALANCE THAT IS NOT COVERED BY AUCTION PROCEEDS. ALL ITEMS ARE SOLD AS IS. WHERE IS, WITHOUT GUARANTEE OR WARRANTY OF ANY KIND. INSPECT ALL ITEMS BEFORE BIDDING. 2) INJURY AND DAMAGE: BIDDER ACKNOWLEDGES RESPONSIBILITY FOR ANY PERSONAL INJURY OR PROPERTY DAMAGE CAUSED BY BIDDER, BIDDER'S GUESTS, OR AGENTS. BIDDER AGREES TO HOLD MARTIN HARMLESS FROM ANY PERSONAL INJURY TO HIMSELF OR HIS AGENTS AND ANY PROPERTY DAMAGE INCURRED ON AUCTION PREMISES. BIDDER RELEASES MARTIN AND THE SELLER FROM ANY AND ALL LIABILITY CONNECTED WITH THE REMOVAL AND TRANSPORTATION OF PURCHASES AND ANY AND ALL FUTURE USES FOR THE GOODS PURCHASED HEREWITH. BIDDER ALSO AGREES THAT BY REGISTERING FOR AN AUCTION I UNDERSTAND AND AGREE THAT I WILL RECEIVE ADVERTISEMENTS BY EMAIL, REGULAR MAIL AND PHONE CALL OR TEXT MESSAGE. I UNDERSTAND THAT TEXT AND PHONE CHARGES MAY BE CHARGED BY MY SERVICE PROVIDER. 3) FULL PAYMENT: BIDDER AGREES TO PAY FOR PURCHASES, AND BIDDER REPRESENTS THAT HE/SHE HAS FUNDS NECESSARY FOR SUCH PAYMENT. COMPLETE PAYMENT IS DUE ON DATE OF SALE WITH CASH, CASHIER'S CHECK, CREDIT CARD, WIRE, OR OTHER CHECKS ACCOMPANIED BY A BANK LETTER OF GUARANTEE MADE PAYABLE TO MARTIN. ALL ITEMS MUST BE PAID IN FULL BEFORE BIDDER LEAVES THE PREMISES. NO ITEMS WILL BE REMOVED FROM THE PREMISES UNTIL PAYMENT IS MADE IN FULL. PAYMENT NOT MADE AS DESCRIBED ABOVE WILL BE SUBJECT TO LATE FEES, PENALTIES AND INTEREST UP TO 18% ANNUM PLUS EXPENSES RELATED TO COLLECTION COST. IF BIDDER FAILS TO PAY FOR ANY OR ALL PURCHASES, FOR WHATEVER REASON, INCLUDING AN INSUFFICIENT CHECK OR A STOPPED CHECK, MARTIN SHALL HAVE THE CUMULATIVE RIGHTS SET FORTH IN THE COMPLETE RULES OF AUCTION. MARTIN WILL CONTACT DISTRICT ATTORNEY FOR ANY CHECKS THAT ARE RETURNED FOR INSUFFICIENT FUNDS OR CLOSED ACCOUNT AND PROCEED WITH ALL NECESSARY LEGAL ACTION AS NEEDED FOR COLLECTION AND OR PROSECUTION. 4) TITLED PURCHASES: BIDDER GRANTS MARTIN POWER OF ATTORNEY TO SIGN AS OWNER/PURCHASER ON TITLE DOCUMENTATION AS NECESSARY TO FACILITATE THE TRANSFER OF OWNERSHIP OF TITLED PURCHASES. 5) AUCTION COMPANY RESERVES THE RIGHT TO REMOVE ITEMS FROM AUCTION OR SKIP ITEMS ONCE AUCTION HAS BEGUN. ALL ANNOUNCEMENTS MADE BY AUCTIONEER SHALL SUPERSEDE ANY PRINTED MATERIAL. 6) LIVE / SIMULCAST AUCTION TERMS- JEFF MARTIN AUCTIONEERS, INC. AND ITS EMPLOYEES ACT MERELY AS AGENTS OF SELLERS. ALL AUCTIONS ARE WITH RESERVE UNLESS SPECIFICALLY STATED OTHERWISE. RESERVES, IF ANY, ARE NOT DISCLOSED. ADDITIONALLY, BIDS MAY BE PLACED AT SOME AUCTIONS BY THE SELLER, AN EMPLOYEE OF THE SELLER, OR AN AGENT ON THE SELLER’S BEHALF UP TO THE RESERVE. WHILE THE INFORMATION WE PROVIDE ON ITEM(S) IS DEEMED CORRECT, NO WARRANTIES ARE EXPRESSED OR IMPLIED AS TO ANY ITEMS BEING SOLD AND YOU AGREE TO PURCHASE AND ACCEPT THE ITEM IN AN AS-IS CONDITION. INFORMATION ON ITEMS IS OBTAINED BY US FROM THE SELLERS AND YOU HEREBY AGREE TO HOLD HARMLESS JEFF MARTIN AUCTIONEERS, INC. AND ITS EMPLOYEES OR ANY ERRORS OR OMISSIONS REGARDING THE ITEM(S) BEING SOLD. THIS INFORMATION INCLUDES BUT IS NOT LIMITED TO YEAR, MODEL, MACHINE OR ENGINE HOURS, PHYSICAL CONDITION, OPTIONS, FEATURES, AND OTHER DATA PERTINENT TO THE VALUE OF THE ITEM. ALL ITEMS ARE SOLD AS –IS WHERE-IS. 7) TIMED ONLINE AUCTION TERMS- JEFF MARTIN AUCTIONEERS, INC. AND ITS EMPLOYEES ACT MERELY AS AGENTS OF SELLERS. ALL AUCTIONS ARE WITH RESERVE UNLESS SPECIFICALLY STATED OTHERWISE. RESERVES, IF ANY, ARE NOT DISCLOSED. ADDITIONALLY, BIDS MAY BE PLACED AT SOME AUCTIONS BY THE SELLER, AN EMPLOYEE OF THE SELLER, OR AN AGENT ON THE SELLER’S BEHALF UP TO THE RESERVE. ALL FINAL BIDS ARE SUBJECT TO THE SELLER’S CONFIRMATION. ONLY THE TOP BIDDER WILL BE CONTACTED AS TO THE STATUS OF HIS/HER BID. WHILE THE INFORMATION WE PROVIDE ON ITEM(S) IS DEEMED CORRECT, NO WARRANTIES ARE EXPRESSED OR IMPLIED AS TO ANY ITEMS BEING SOLD AND YOU AGREE TO PURCHASE AND ACCEPT THE ITEM IN AN AS-IS CONDITION. INFORMATION ON ITEMS IS OBTAINED BY US FROM THE SELLERS AND YOU HEREBY AGREE TO HOLD HARMLESS JEFF MARTIN AUCTIONEERS, INC. AND ITS EMPLOYEES OR ANY ERRORS OR OMISSIONS REGARDING THE ITEM(S) BEING SOLD. THIS INFORMATION INCLUDES BUT IS NOT LIMITED TO YEAR, MODEL, MACHINE OR ENGINE HOURS, PHYSICAL CONDITION, OPTIONS, FEATURES, AND OTHER DATA PERTINENT TO THE VALUE OF THE ITEM. ALL ITEMS ARE SOLD AS –IS WHERE-IS. 8) MARTIN RESERVES THE RIGHT TO REVOKE BIDDER NUMBER AND BIDDING PRIVILEGES FROM REGISTERED BIDDER AND HAVE THAT INDIVIDUAL AND THEIR PARTIES LEAVE THE AUCTION SITE. BIDDER WILL BE RESPONSIBLE FOR PAYMENT OF ANY BIDS PLACED PRIOR TO REVOCATION. VIDEO & AUDIO RECORDING IS USED ON PREMISES AND WILL BE USED FOR SECURITY OR PROMOTIONAL PURPOSES. SALES TAX APPLIES UNLESS PROOF OF EXEMPTION IS PROVIDED TO JEFF MARTIN AUCTIONEERS, INC.